Jordanian Senator Abu-Ghazaleh Says Women Are Superior To Men , Do you agree? HE Dr. Talal Abu-Ghazaleh, chairman of Talal Abu-Ghazaleh Organization (TAG-Org) and the man who is also a selected senator from Jordan have said that women are the centre of life as one half of the world's human population are women while the other half where born by women. He supports women so fiercely that he reiterated and concluded among other things that "what is required is not the empowerment of women by men, but that it is required to empower men to accept the fact that women are equal if not superior. " 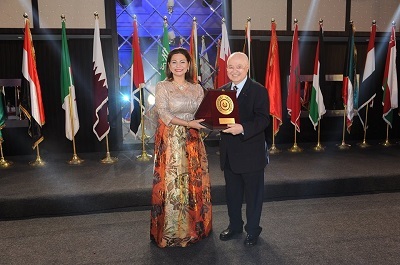 He made the statement when the Arab Women's Council hosted the 3rd "Arab Festival - The Golden Shield of Excellence 2016" at Al Bustan Rotana Hotel in Dubai, the UAE recently.